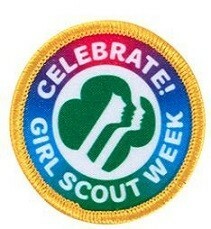 Girl Scouts Week is celebrated from March 10-16, 2019. Girl Scouts Week commemorates the day in 1912 when Juliette Gordon Low founded the very first girl troop of scouts with 18 girl members in Savannah, Georgia. 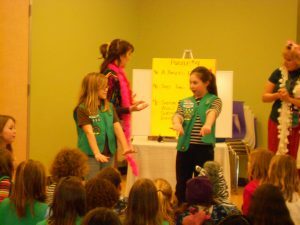 The Mystery Shop is honored to have performed many, many shows for Girl Scouts. Here is a partial list of towns that have hosted our Girl Scout performances. Ready to book your Girl Scout show? Call 630-690-1105 or e-mail us at tms@TheMysteryShop.com.